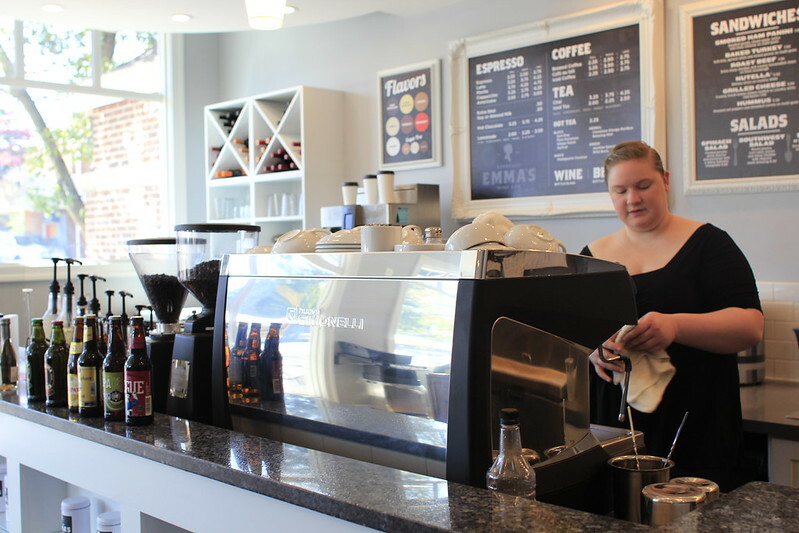 I love drinking coffee, and lucky for me there are many cafe options for the coffee lover in Del Ray. 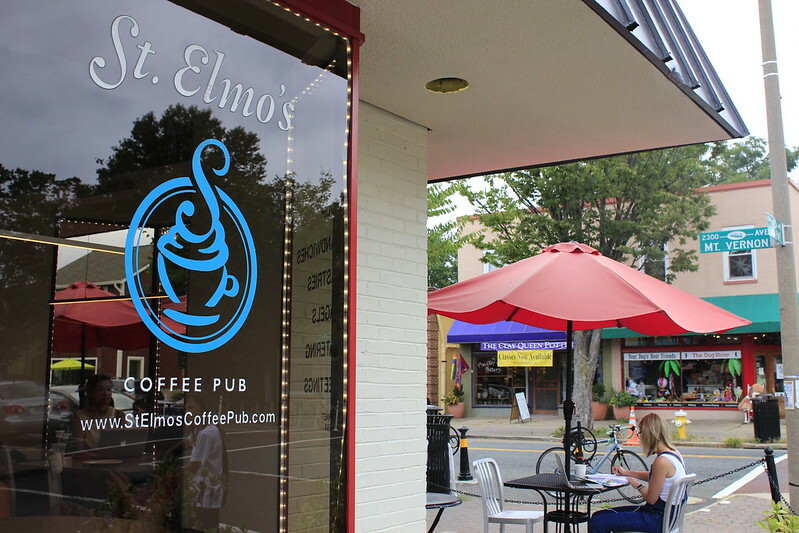 It all started with St. Elmo’s back in the 1990s. They were the first coffee shop on the Avenue. In the past several years, several others have sprung up. 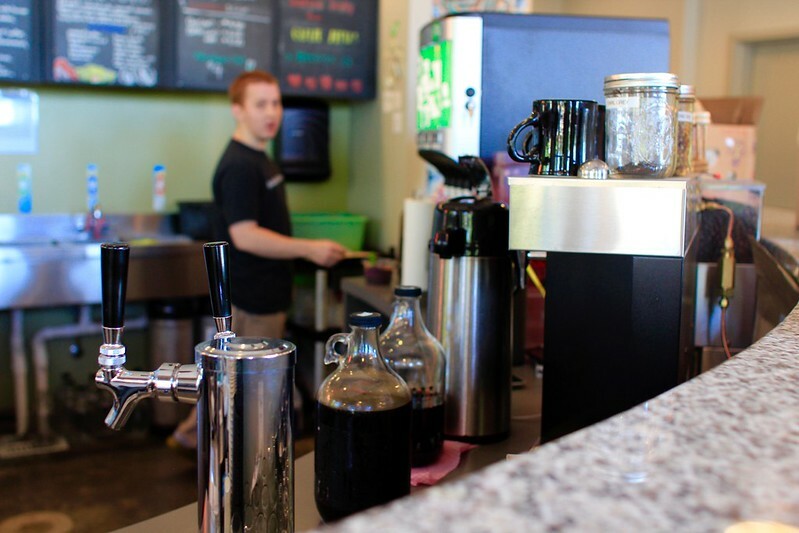 They are not copycat cafes; they each have their own niche and personality. 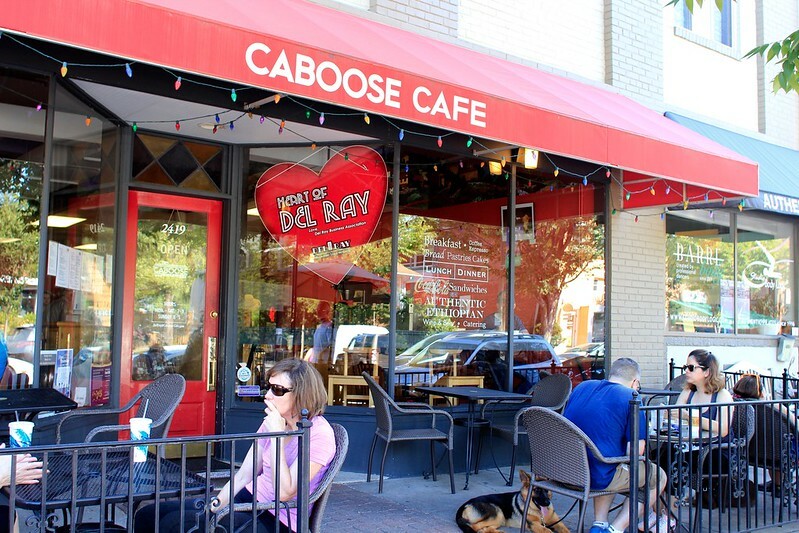 The Caboose Cafe is down the street from St. Elmo’s in the heart of Mount Vernon Ave. 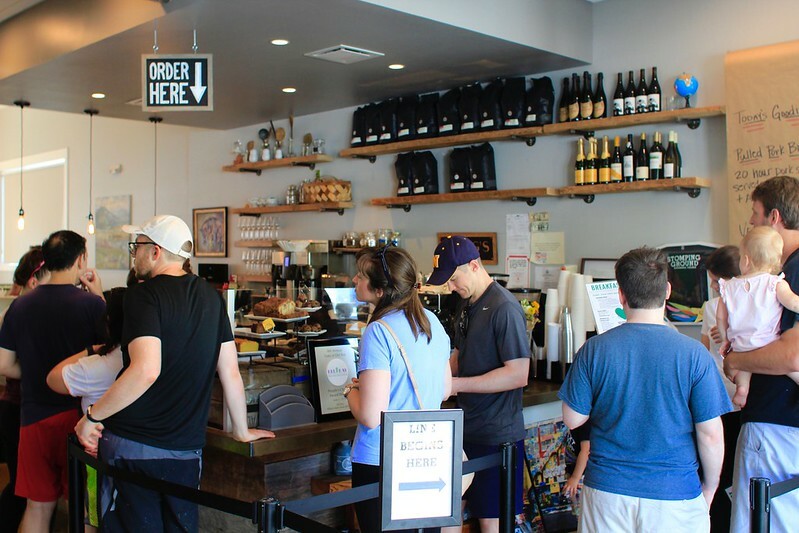 They are a favorite of Mount Vernon Community School teachers for their proximity to the playground and they serve a great Dirty Chai as well as a red eye that will keep any teacher wide-eyed all day. 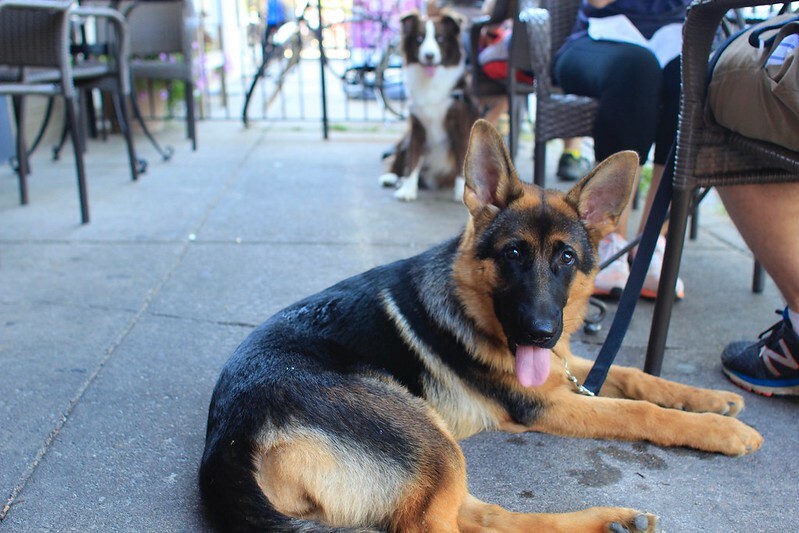 Their outdoor seating is welcoming to people who are joined by their canine friends. Stomping Ground is just a block down from the Caboose. 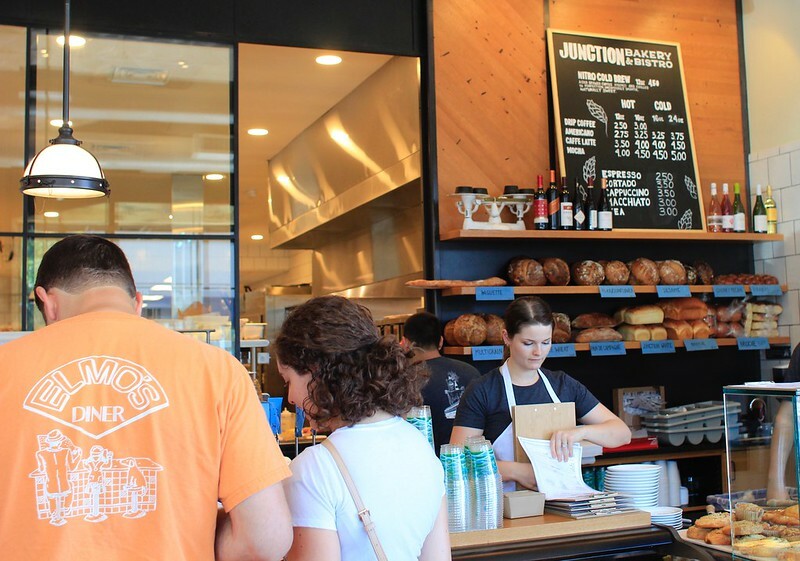 It is located between the Farmer’s Market and the Happy Tart. 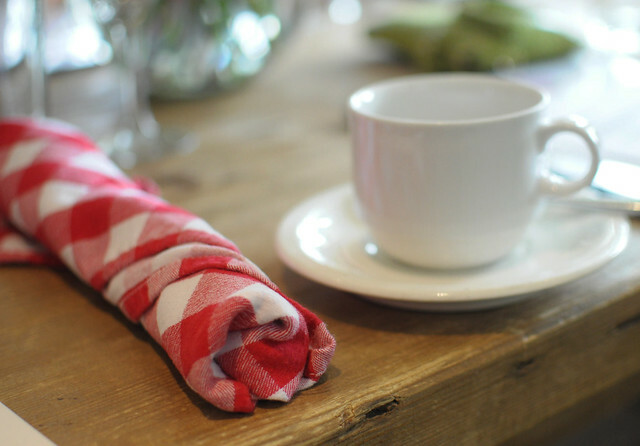 They have delicious biscuit meals as well as great coffee! 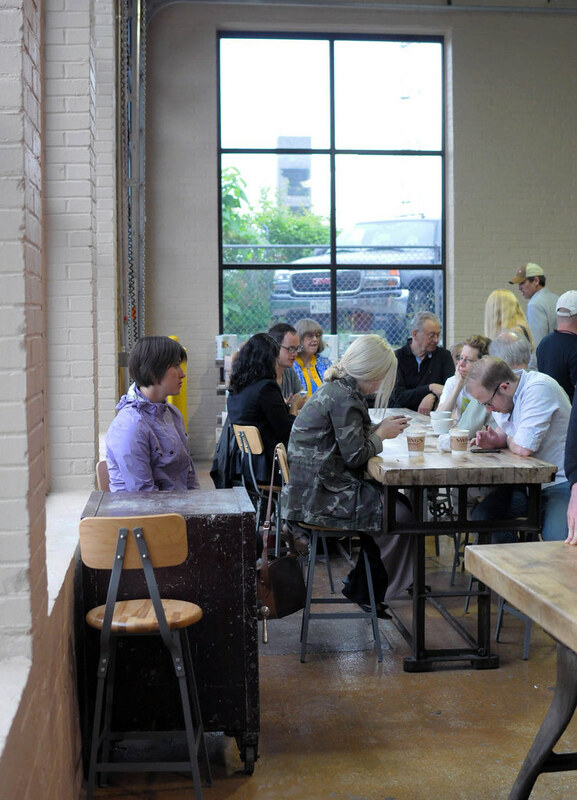 The interior is lively and their community table make it a fun place to be. Get their early on the weekend to beat the line. 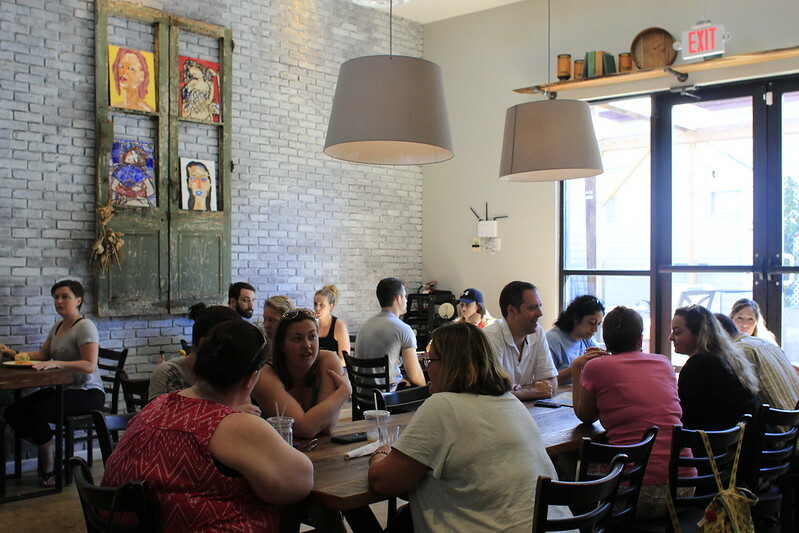 Bon Vivant is another option for the coffee lover. 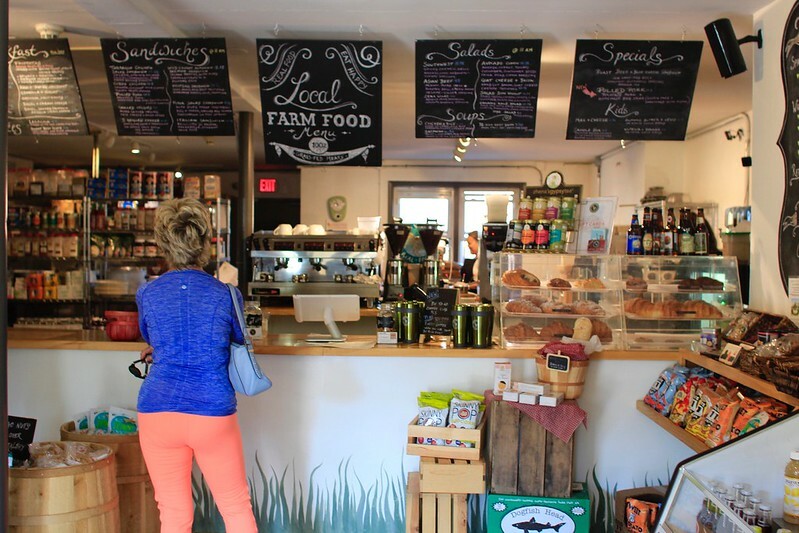 They also have an extensive menu of healthy locally sourced meals. 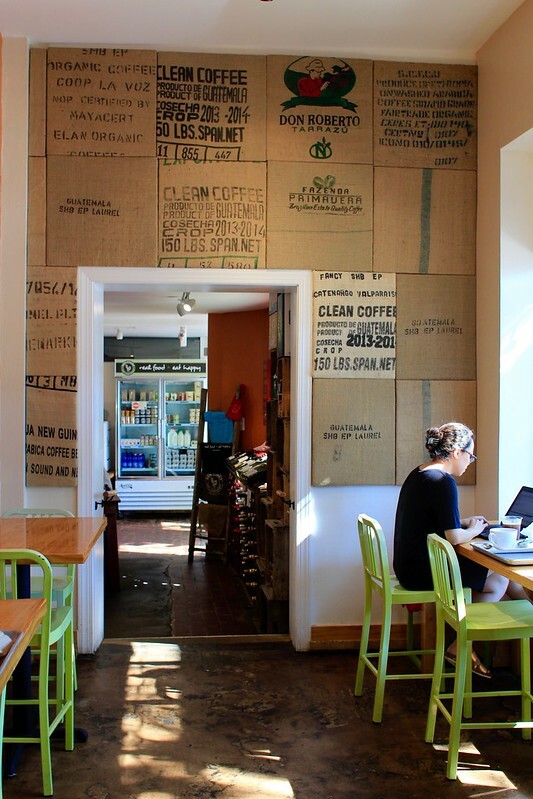 I love their interior coffee bag decor. 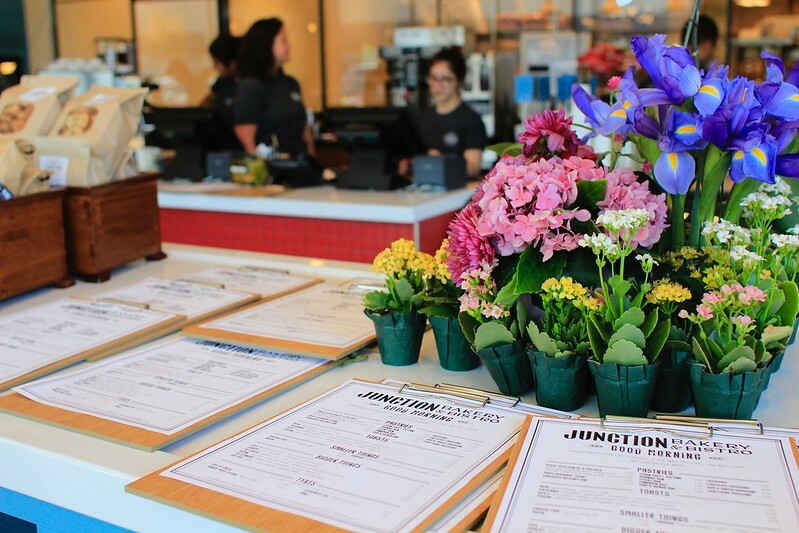 The new kid on the block is Junction Bakery. They have a full cafe and quite the bakery in the back! 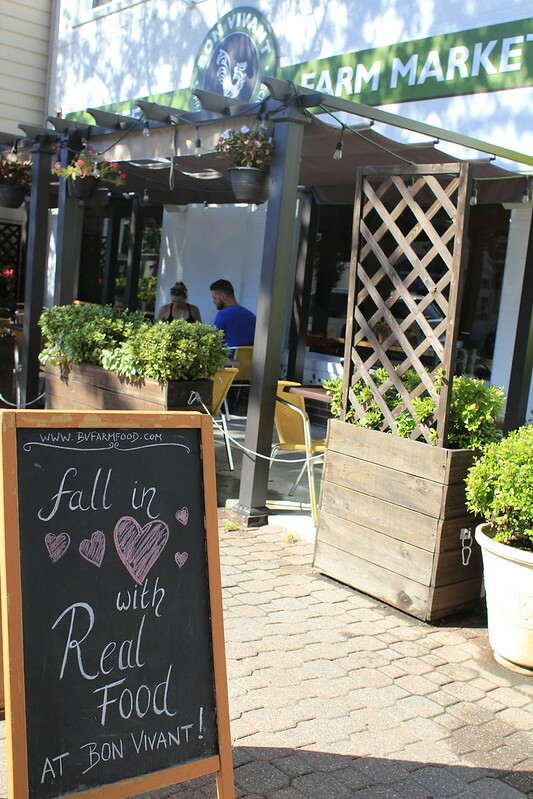 Emma’s Cafe is a great place to hang out and have a cup of coffee, tea, wine, or beer. They have a beautiful interior and friendly baristas. 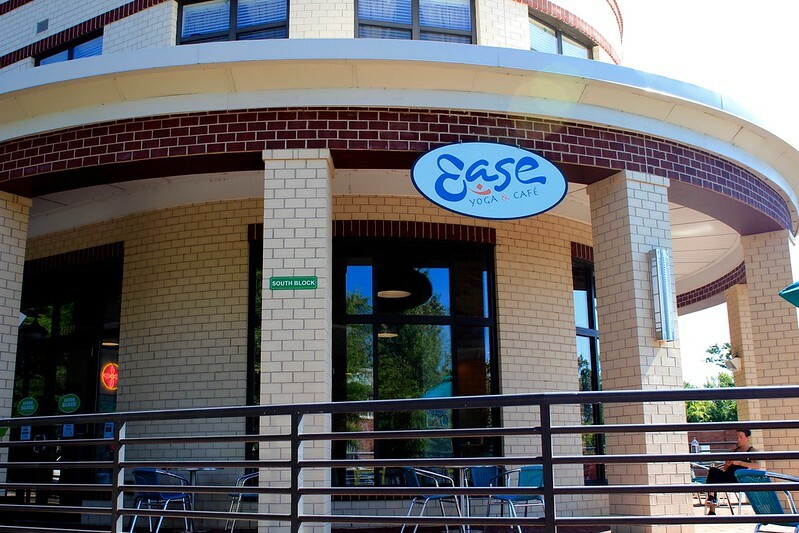 At Ease Yoga Cafe (South Block) not only can you take a yoga class, but you can relax with a cup of coffee. They also have fresh juice, smoothies, and bowls. They are definitely a healthy option. 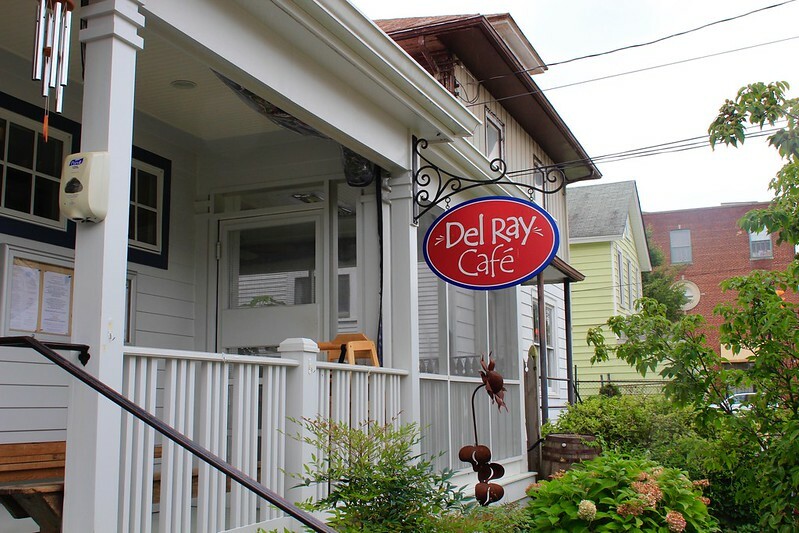 At Del Ray Cafe you can get fresh organic French cuisine as well as delicious cappuccinos and a bottomless cup of coffee. 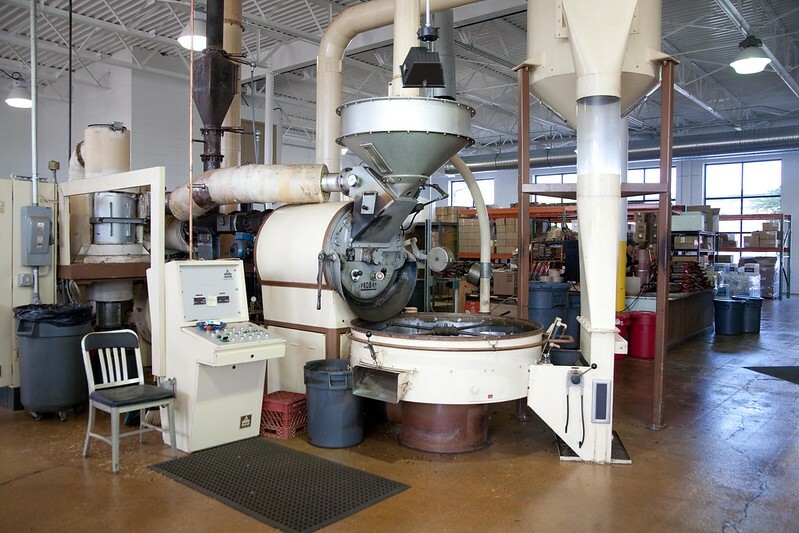 Swings Coffee Roasters, like their name states, is a coffee roaster and a cafe. 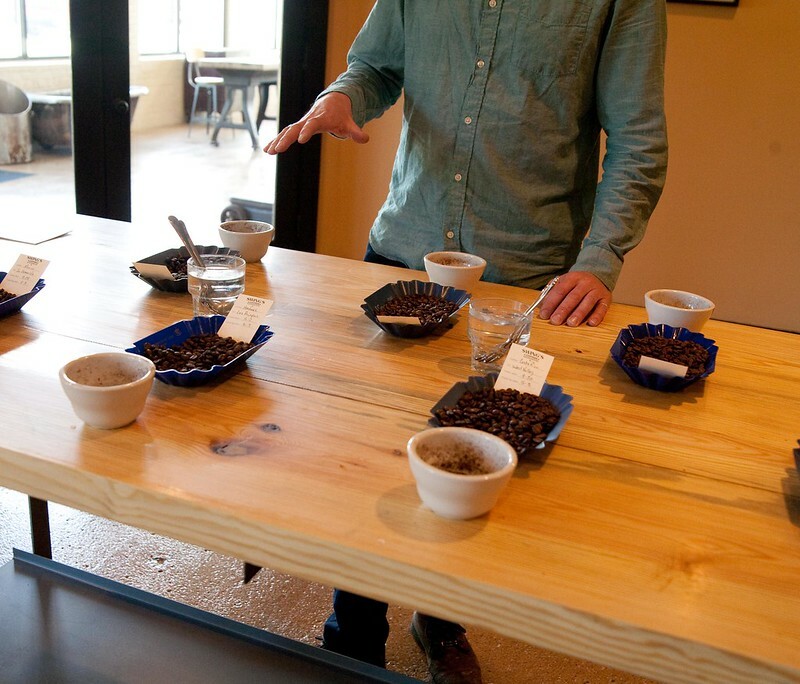 They do cuppings on Fridays at 10am. 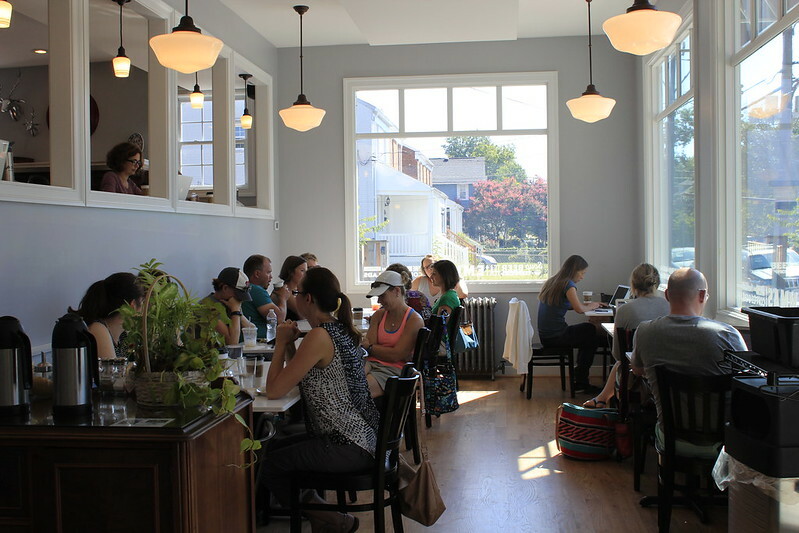 If you are looking for a cafe to hang out in there are plenty of options for you in Del Ray. Love all of those places, we are so lucky to have so many great choices in our community! That is the most informed story about cafes I have ever read. Great pictures and nice detail about the places. Love the pictures.